Leonor Pinz�n Doggett, 90, peacefully passed away in her sleep on Monday, December 25, 2017. A memorial service will be at 11:00 a.m., Saturday, January 13, 2018, at Our Lady of Lourdes Church in Raleigh. A reception will be held at Brown-Wynne Funeral Home, 300 St. Mary's Street in Raleigh following the service from 12:30-2:30pm. Leonor was born July 13, 1927, in Bogot� Colombia, the daughter of Mariantonia Pinz�n and Dr. Crisanto Otero. She came to the United States in 1948 escaping the political turmoil of El Bogotazo in her native country to attend the University of California at Berkeley where she graduated with a Bachelor's degree in Medical Microbiology in 1952. Later that year she met and fell in love with Wesley Doggett, a North Carolina native, who was attending UC Berkeley while earning his Masters and Ph.D. degrees in Physics. They wed in 1953 and had their first of eight children while in Berkeley in 1955. Leonor and Wesley lived in Dayton, Ohio for almost three years until 1958. From there they moved to Raleigh with three boys where Wesley took on a faculty position in the Physics Department of North Carolina State University. Over the years, the Doggett family have been long-time members of Our Lady of Lourdes Parish. In addition to raising a family of 8, Leonor was active in the International Club in Raleigh, the Latin American Resource Center in Raleigh and served as a substitute Spanish teacher for a few years at Hale High School (now St. David's) and Broughton High School during the 1980s. In retirement, she and Wesley enjoyed traveling, visiting their friends, 8 children and 15 grandchildren (who called her "Nana") and spending time in Puerto Vallarta, Mexico - a place they adopted as a winter home for two months each year. In 2013, they celebrated their 60th wedding anniversary. Survivors include her half-sister, Alicia Otero of Venezuela, children (and their spouses), Kevin Doggett of Raleigh; Marc (Dolores) Doggett of Ashburn, VA; Dr. Norman (Gretchen Yost) Doggett of Santa Cruz, NM; Eric Doggett of Raleigh; Dr. Valerie (Peter) Purcell of Blowing Rock, NC; Nydia (Cooper) Tisdale of Roswell, GA; Steve (Blandine) Doggett of Magnolia, AR; Dr. Glen (Maria Kelly-Doggett) Doggett of Bellevue, WA; and fifteen grandchildren. 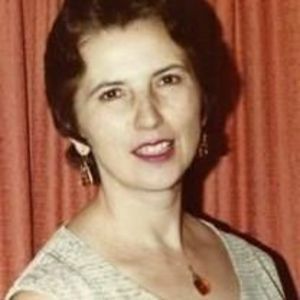 She was preceded in death by her husband, Dr. Wesley O. Doggett, who passed away on December 22, 2013, and half-sister Aura Otero Corredor and half-brother Dr. Jos� Mar�a Otero.